Direct light luminaire designed for use with LED light sources. 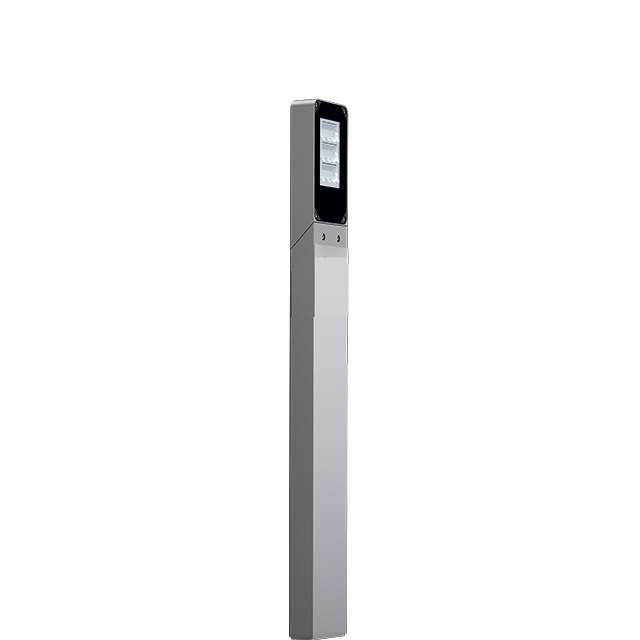 Bollard versions available (for horizontal and vertical lighting) as well as wall versions. Comprises body and optical compartment. Optical compartment and glass holder frame in die-cast aluminium. clear sodium-calcium tempered sealing glass, 5 mm thick with black screen-printing Comfort prismatic glass with black screen printing for the wall version. Body and optical compartment undergo multi-step pre-treatment (degreasing, fluoro-zirconium, sealing). The subsequent painting stage involves primer and liquid acrylic paint to ensure high resistance to atmospheric agents and UV rays. Optical compartment complete with electronic power supply and output power supply cable. Versions are available with on/off power supply and DALI. Asymmetrical Longitudinal (AL) and Crossways (AT) optics with Opti-smart reflectors in super-pure aluminium coated with silvery deposits ensuring high efficiency and uniform light distribution. High uniformity versions are available - HU (High Uniformity). Replaceable LED and power supplies. Bollard versions for horizontal lighting are "full cut-off" with high visual comfort for lighting paths and pavements. 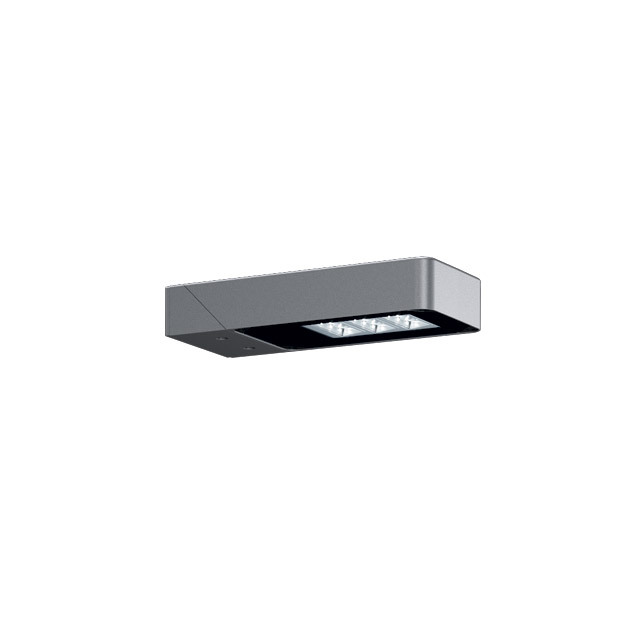 The vertical lighting version has asymmetrical optics suitable for vertical illumination of façades and walls. Comfort glass for direct lighting. Overvoltage protection: 4kV in Common Mode (CM), 2kV in Differential Mode (DM). The SPD accessory (JAL6) increases overvoltage protection to 10kV/10kV (CM/DM).